One of the things I never really considered when I started Bill On The Road was how many animals I’d get to encounter during my stops in cities across the country. Perhaps only second to posts about food – people love seeing photos and videos that feature animals from my trips. In fact, the web traffic and interaction on social media goes through the roof every time I share one of these animal encounters. 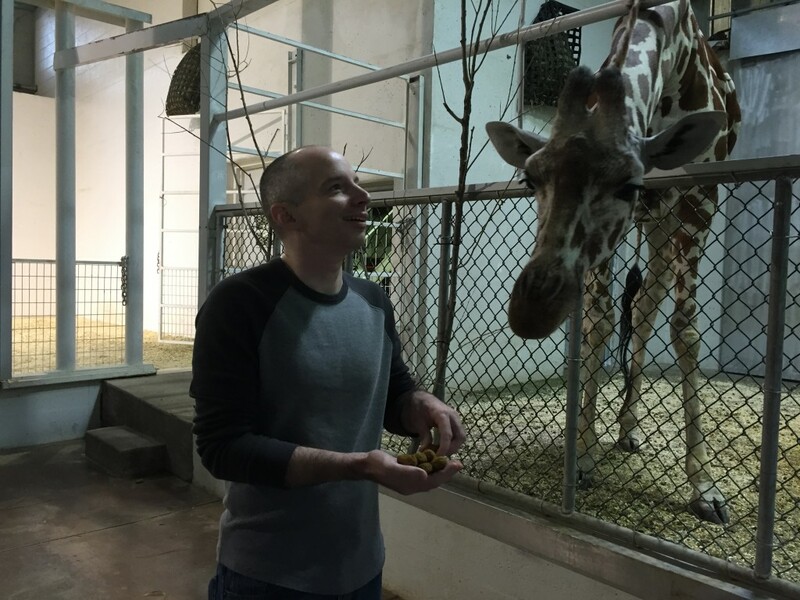 So, I thought it would be fun to share a highlight reel of sorts – a look at some of my favorite animal encounters since I started this website. Feel free to vote for your favorite or share your own special animal encounter in the comments section. This was one of those experiences I didn’t even realize how cool it was until it was already over with. The dolphins we interacted with were rescued and unable to live on their own in the wild. It was fascinating learning how they are trained using positive reinforcement and when they make a mistake – the trainers simply ignore it. 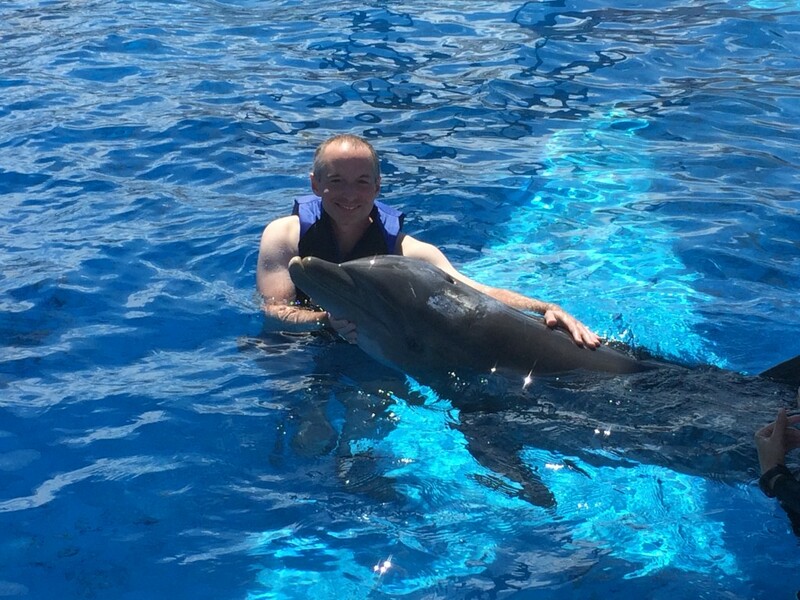 And we learned, according to the photo below, that dolphins are not afraid of pasty looking white guys. On a press trip exploring Ohio state parks, we visited a beautiful animal park outside of Columbus where animals roam free. When our bus approached a group of camels – they decided to eat our tour bus. Watch the video below. If you’ve never been on board a shrimp boat, it’s pretty interesting. What’s even more interesting is watching all of the birds that know what you’re up to and can’t wait to dive bomb your boat to try and steal your catches. 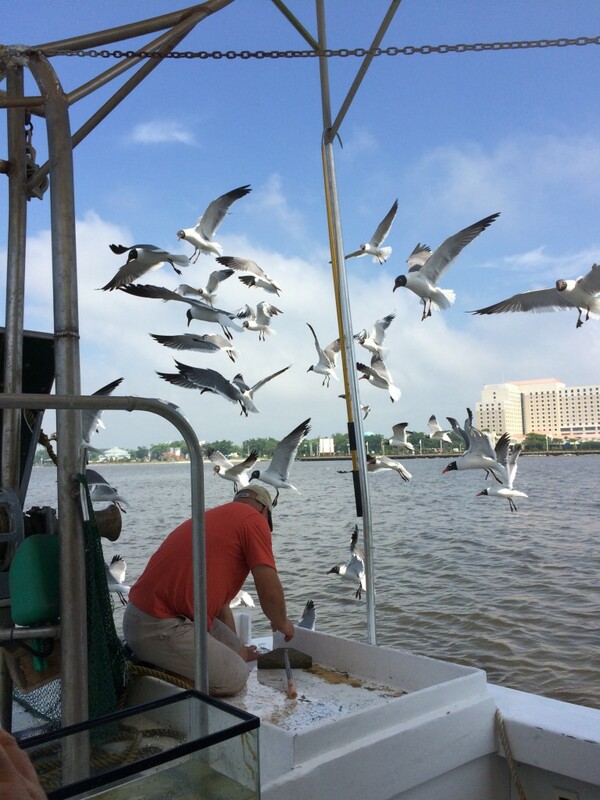 These brazen seagulls had no fear and stole many of the shrimp before our guide could even show us an example of what we’d caught. Let’s just say I thought watching March Of The Penguins would have better prepared me for meeting an actual penguin in person. 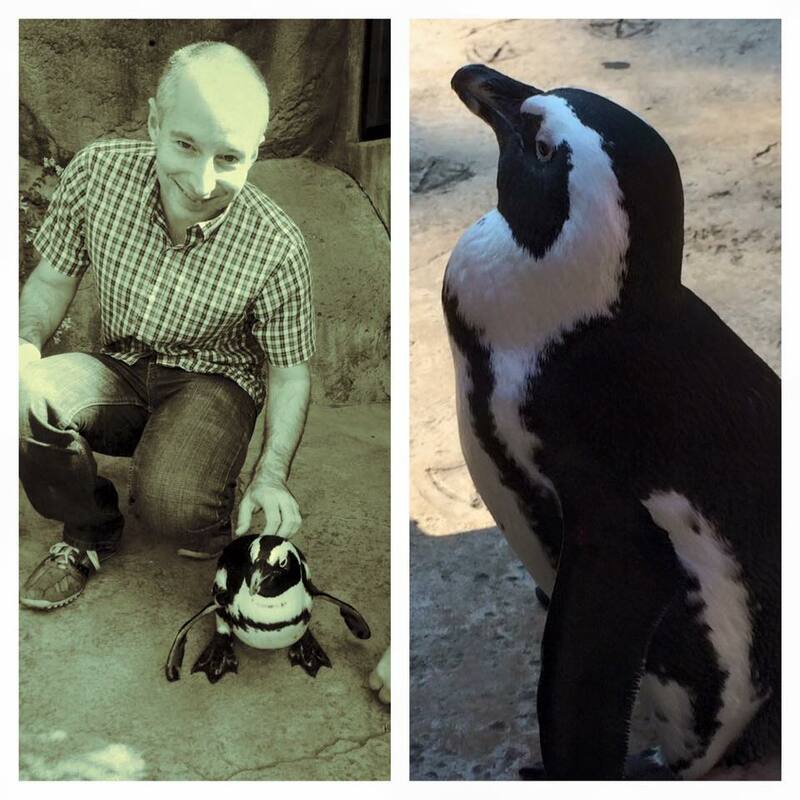 Turns out, penguins are really just strange and not typically very nice. Or in the words of the zoo trainer I met at the Little Rock Zoo: “They are usually a bunch of jerks.” This one at least didn’t try to bite me or anything. Oh and they stink. Lemurs Love Me. No, Really. 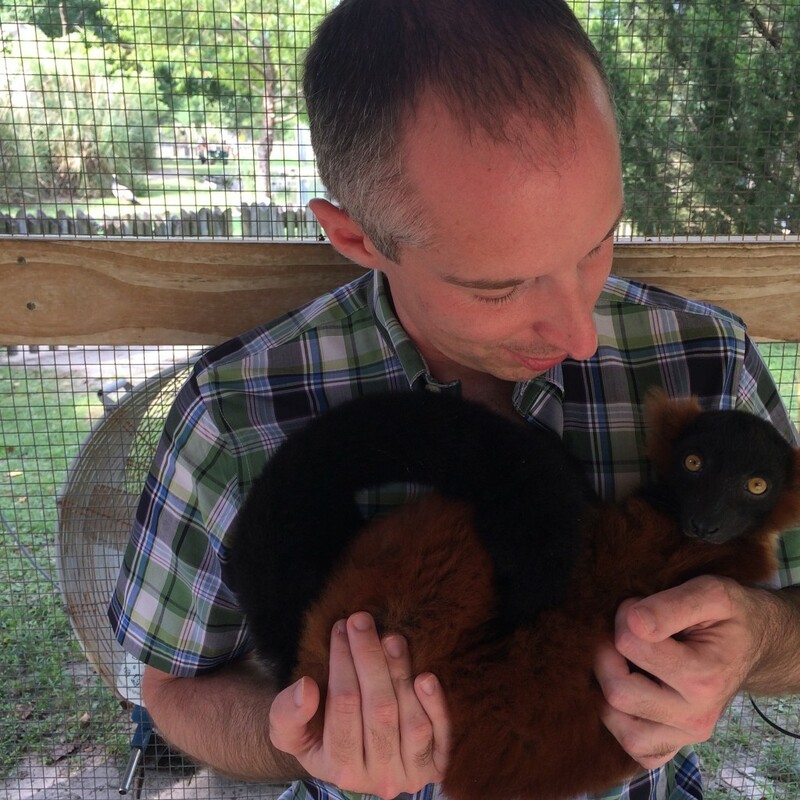 Patti Hall, the director of the Alabama Gulf Coast Zoo in Gulf Shores was adamant that this little female lemur doesn’t like to get close to anyone. She was truly surprised how it crawled right into my arms and as you can see – she looks pretty comfortable. 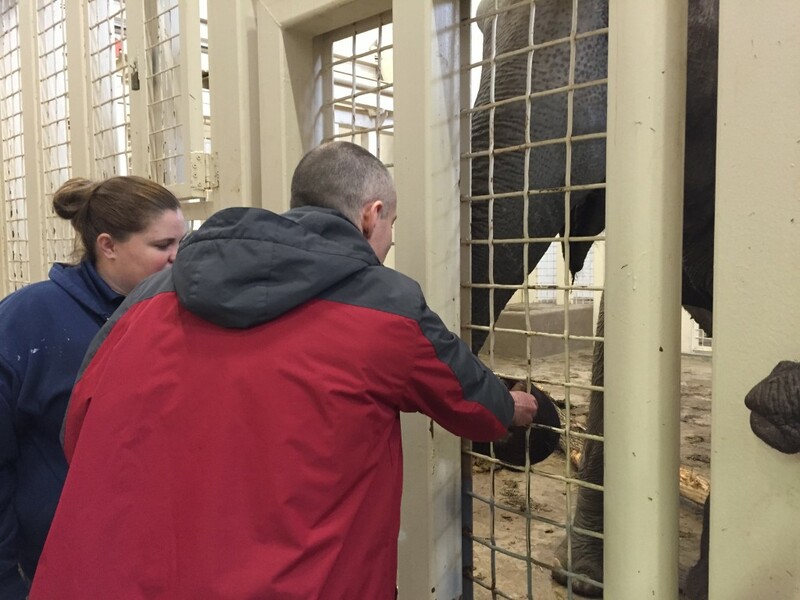 What an awesome experience getting to feed elephants snacks while their outdoor home was being cleaned at the Topeka Zoo. Two elephants were both sticking their trunks through the fence to get a treat. So cool! 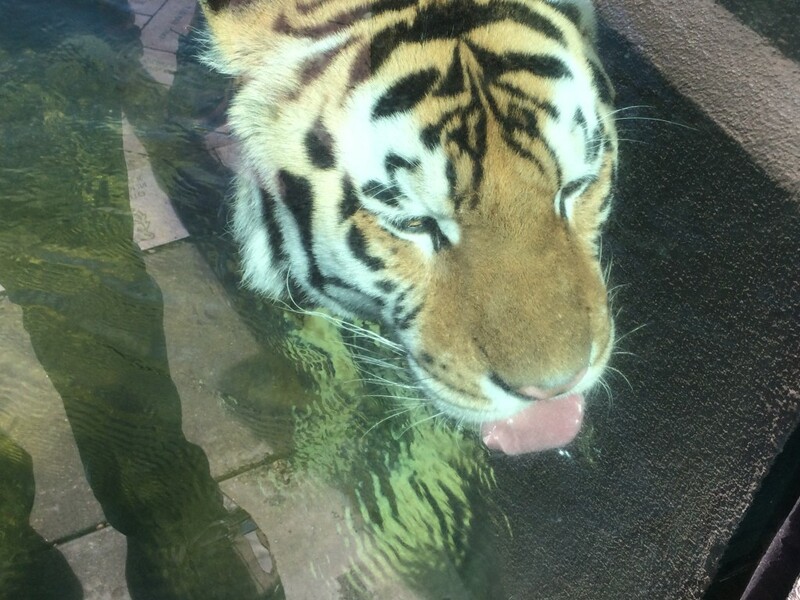 On the campus of Louisiana State University (LSU) “Mike” the tiger is king of the school. Tradition is that the tiger is given the opportunity to load onto a trailer that will take him over to the football stadium on game days in Baton Rouge. The faculty and students are huge fans and forked out millions of dollars for an outdoor, glassed in paradise for their beloved team mascot. I never and I mean never pass up an opportunity to be around giraffes. I freaking love them! Feeding them lettuce or other snacks and watching that crazy 18 inch tongue do its thing is always crazy to watch. But, they just seem to be so peaceful and loving. What great, incredible creatures. Can You Guess What I Fed An Ant Eater? I bet you can’t. This little guy hopped up and ate some sort of yogurt concoction to his hearts content. 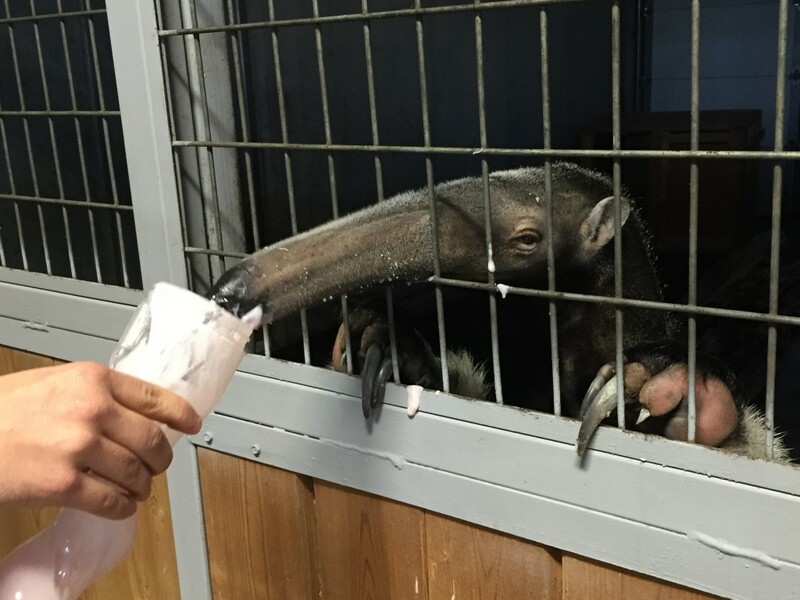 By the way, the anteater makes a giraffes tongue look like a pinky finger. I swear, that thing could have lassoed around my head and strangled me if I had dropped his cup of yogurt. Weird animal! 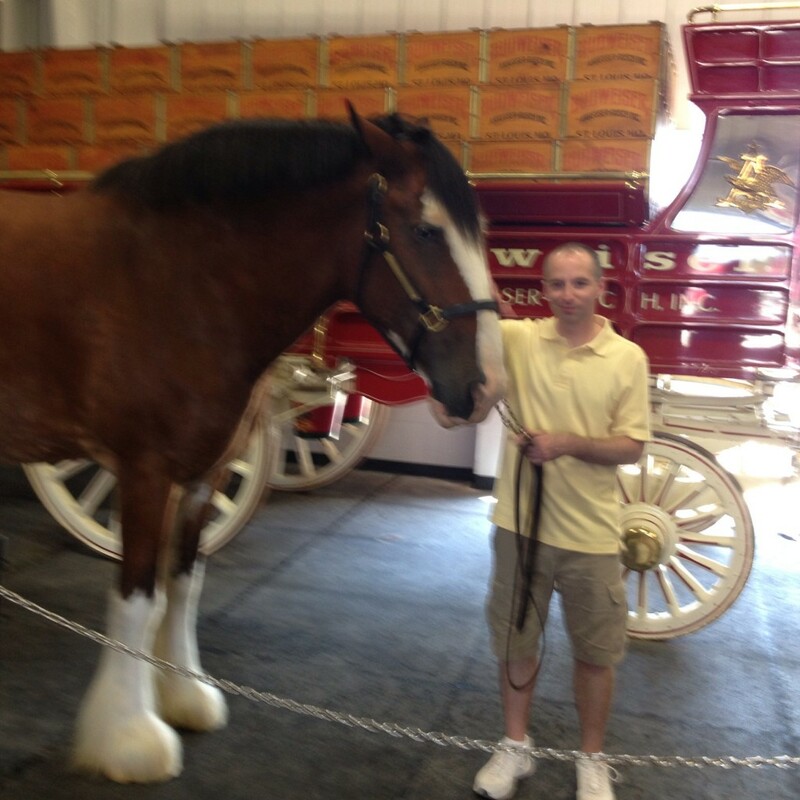 Living in the Saint Louis area we are spoiled with year round access to the world famous Budweiser Clydesdale’s. They often roam in a park area near my home and it’s always a treat just to drive by and catch a glimpse. There’s also an amazing breeding facility about two hours west of Saint Louis called Warm Springs Ranch where you can see the youngest ones. Navigating around the south rim of the Grand Canyon, I put my faith in a stubborn “sure footed” mule that was hand picked for me by one of the guides at Grand Canyon National Park. While it was definitely worth the experience – it lasted about an hour too long. Let’s just it’s not real comfortable riding around on them while peeking over into the canyon. 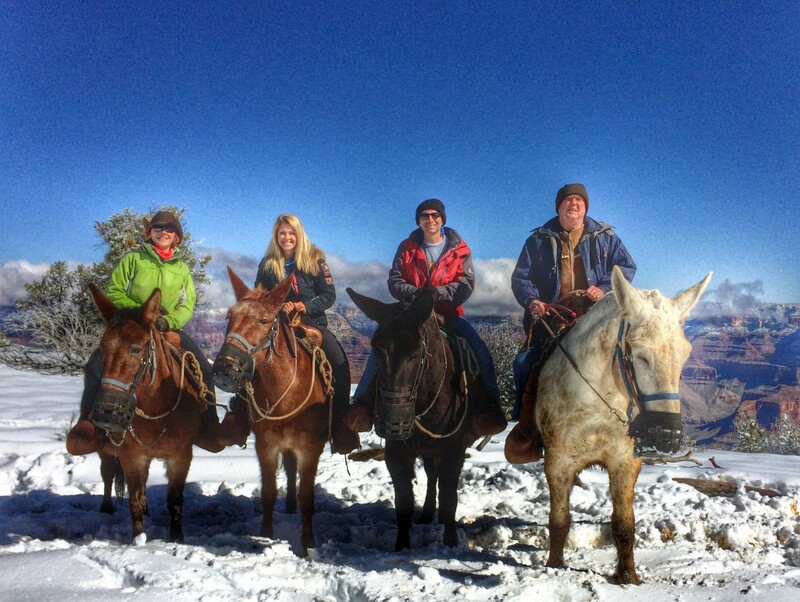 Sure enough, even in ice and snow – the mule didn’t toss anyone off to their death! Feeding A Rhino Is A Lot Like Playing Ski Ball. Oh sure, he looks cute. 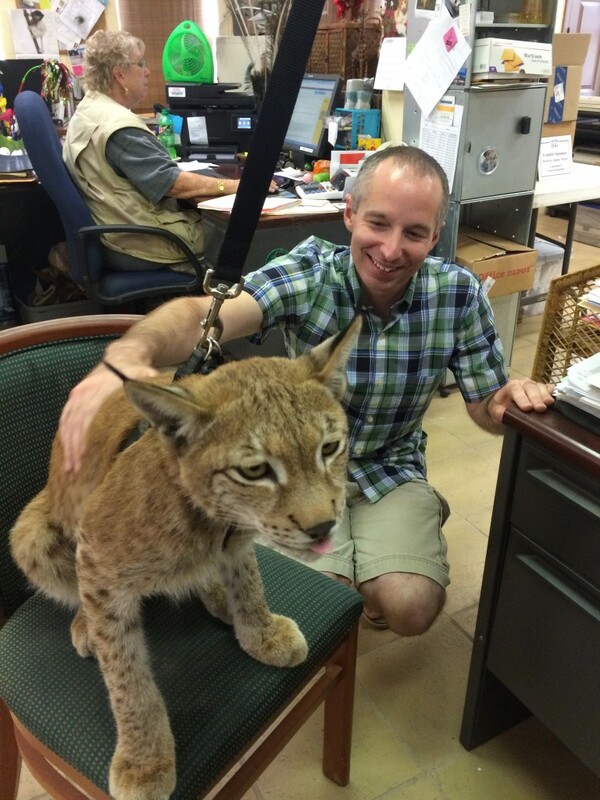 But this meet and greet with an Eurasian Linx was absolutely horrifying! I’ve never been this close to something that could literally just claw my head off. (Except for a couple of ex girlfriends.) This was another encounter where I didn’t realize how awesome it was until I was safely back in my car looking at the photos on my phone. Next ArticleSorry, Wichita. But, I Can’t Keep This Quiet.